A recent WSJ article by Dartmouth Professor Sydney Finkelstein articulated a provocative management idea: The best leaders allow and even encourage their superstar talent to leave. Finkelstein argues that the best leaders seek out the best talent, fully understanding that the most ambitious executives may claim some of the shortest tenures, as they’ll be constantly eyeing their next great challenge. He argues that it is better to house tremendous talent within your organization for a short time than never to have it at all. In addition, he argues that a reputation for hiring and launching tremendously talented employees can assist in the recruitment of additional tremendously talented employees. Finkelstein’s research focuses on large, global companies, but as a small firm with ambitious, smart employees, this idea – that sometimes the best career path is an exit – is one we’ve considered for years. Of course, we want to retain our high potential employees. But sometimes, more money and bigger titles can only go so far. Sometimes, the next level up doesn’t match the employee’s aspirations, skills or desired timeframe. This is why we recently formalized the exit route as a core component of our career pathing program. Throughout their tenure, we ask our employees to consider (and reconsider) their career goals for the next 5-to-10 years. We discuss possible paths to help them achieve those goals, and the skills and experiences that must be acquired along the way. Because we hire many millennials with limited work experience, we must invest heavily in them, giving them the tools and training to succeed. We hope that all high performers will stay for at least 3 years both so that our investment will pay off and so that employees will have the time to be thoughtful about where they want to take their careers. After that time, we work with them on advancement opportunities. We aim to define three potential paths: two within the firm and one beyond it. If they choose the exit route, we make introductions to potential employers, serve as references, write LinkedIn recommendations, and even coach employees through the search process. Increased employee engagement and retention. Being able to openly discuss career routes is a great relief for many employees, and this openness contributes to a supportive, transparent culture. The program also encourages managers to think more like career coaches rather than short-term focused micromanagers. Managers learn how to engage with team members in thoughtful, authentic ways, building trust and loyalty and improving overall employee engagement. Since managers know employees’ career objectives, we’re better equipped to assign meaty projects — which may or may not be directly tied to employees’ roles — to help them build their desired skills. All of this leads to employees staying with us longer because they feel valued and see tangible career benefits to staying. More predictable succession planning and smoother transitions. 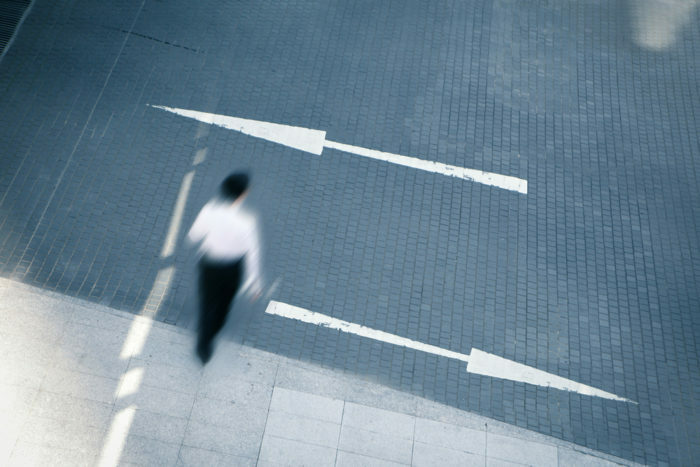 When exit paths are openly discussed, and employers are helping employees find their next roles, managers benefit from having much more time to plan for employee departures. There’s plenty of runway to document all projects and processes. There’s plenty of time to think carefully about contact changes for customers and partners, and all transitions can be handled smoothly and thoughtfully. Employees benefit as well, getting to leave the company on a high note, feeling celebrated, appreciated, and grateful to the company for helping them land their next big role. Employment brand and recruiting improvements. In the age of Glassdoor, Yelp, and Quora, it’s more important than ever that employees leave feeling appreciated. Recruiting gets boosted when companies build reputations for not only hiring but also supporting talented individuals. These former employees become assets who can be leveraged later for referrals – or potentially even for re-hires later in their careers. It’s certainly not intuitive to invest heavily in recruiting and developing top talent only to actively facilitate its departure. But after years of thoughtful consideration regarding our employees’ needs as well as our own, we believe that sometimes the best path forward is out.